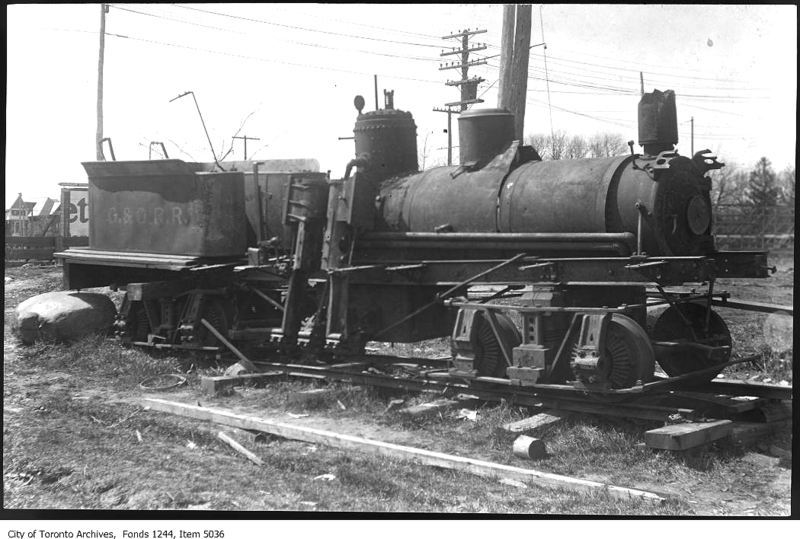 Although the location and full name of the railroad is unknown, the photo's source (the City of Toronto Archives) notes the locomotive was in Toronto, Ontario, Canada in 1908 at the time the photo was taken. 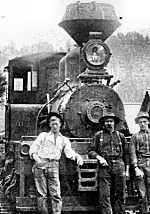 The locomotive, named "W.F. 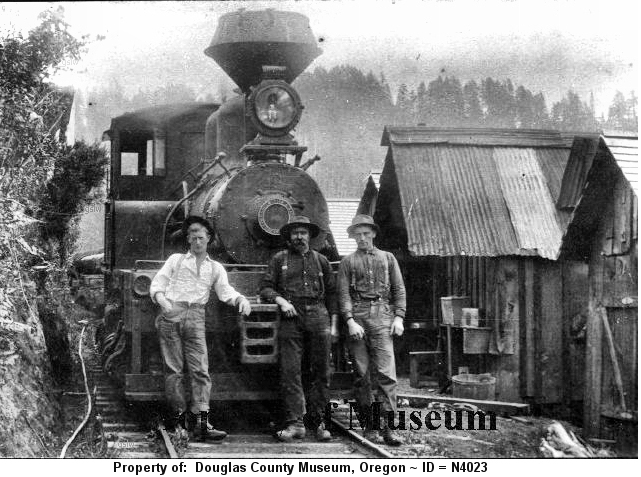 Jewett", operated near Gardiner, Oregon. 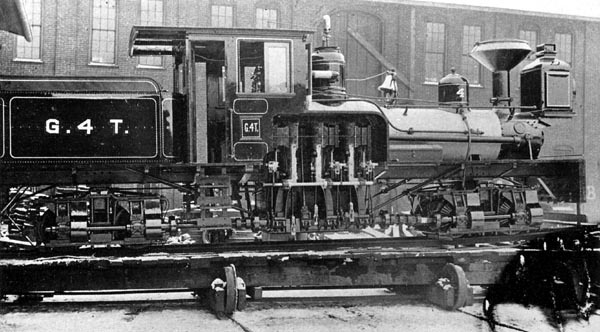 The company also used the #1 road number on its Heisler s/n 1019. 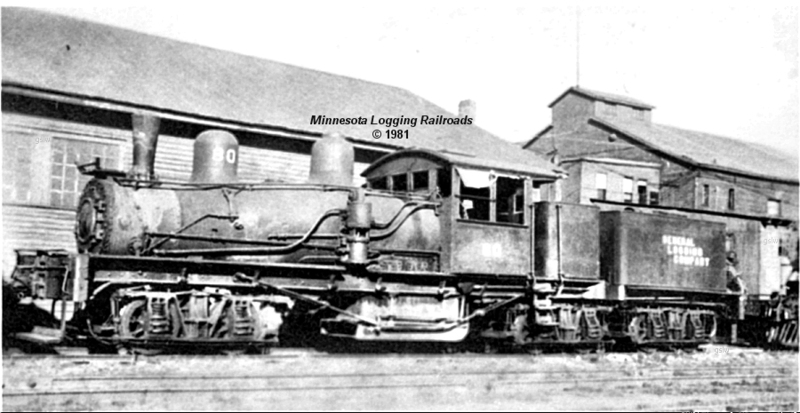 Formerly #8 of the West Side Lumber Co. 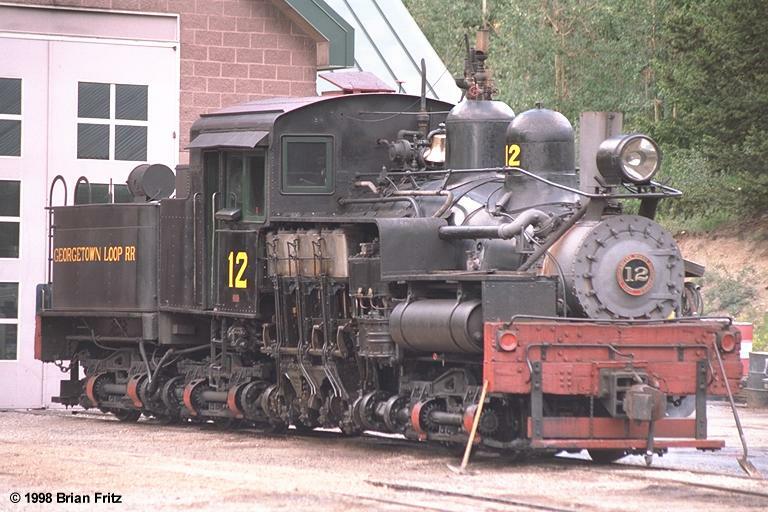 Formerly #12 of the West Side Lumber Co. 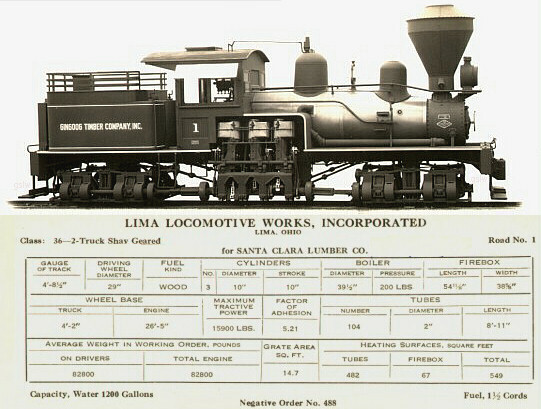 Formerly #14 of the West Side Lumber Co. 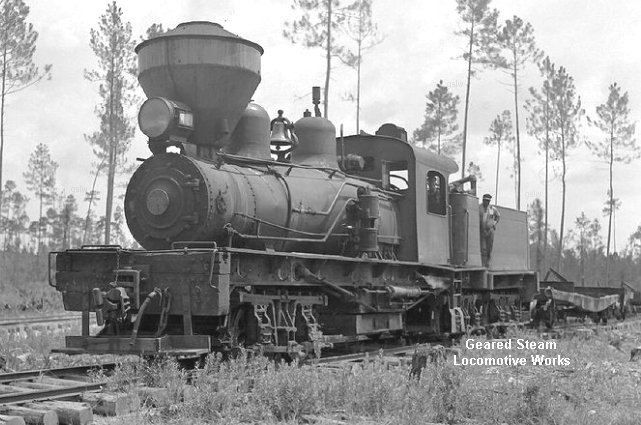 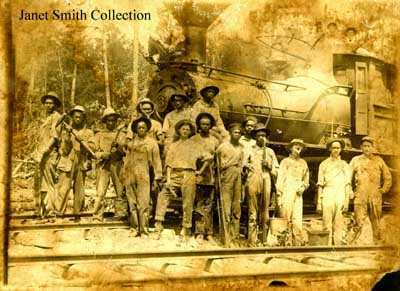 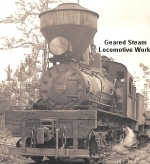 The locomotive operated near the company's Laurel, Mississippi location. 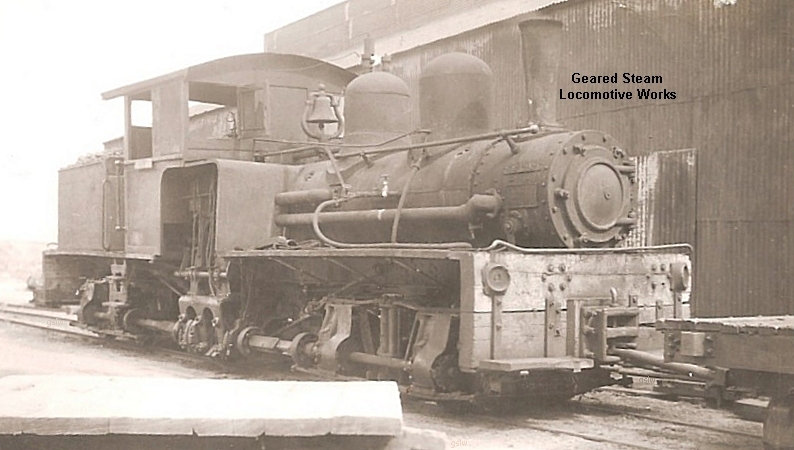 This is the company's 2nd Shay to carry the road number #202. 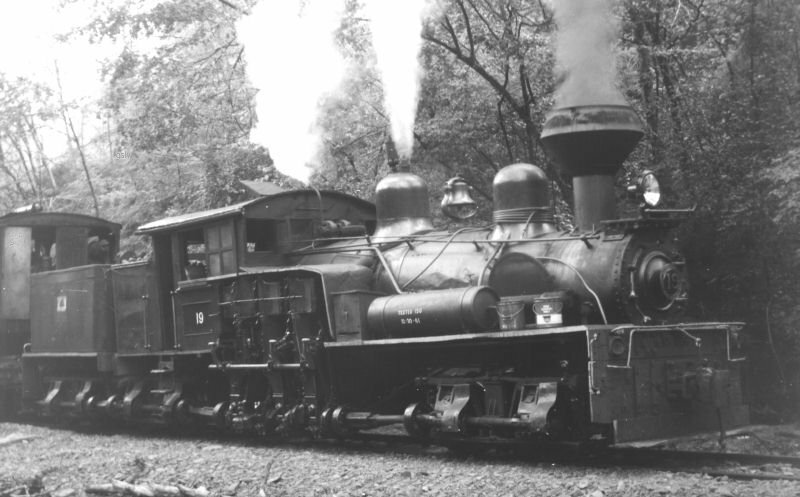 It is unknown in which order (left to right) #1 and #2 appear in the photos. 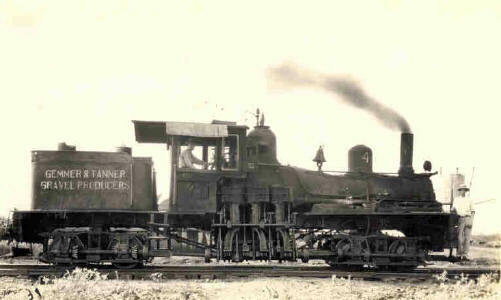 Gilmer, Alexander T. Lumber Co. #4 - s/n 2120 - at right in image. 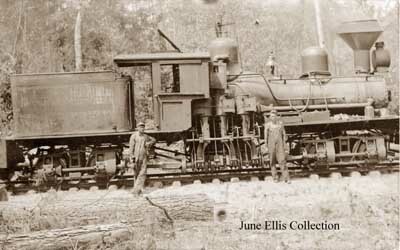 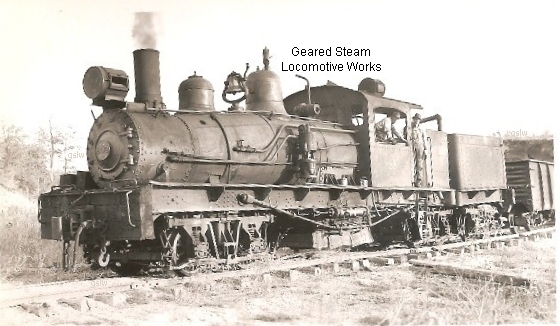 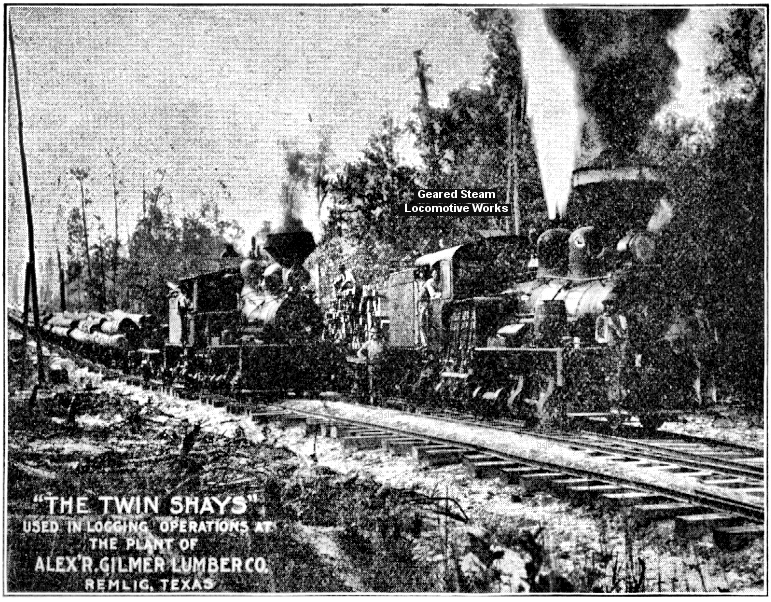 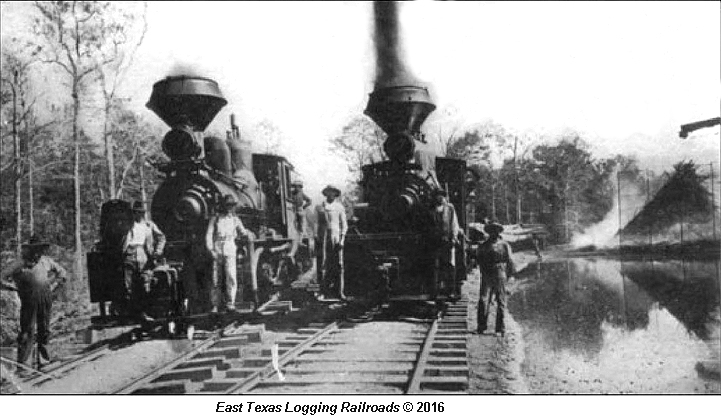 The locomotive operated near Remlig, Texas. 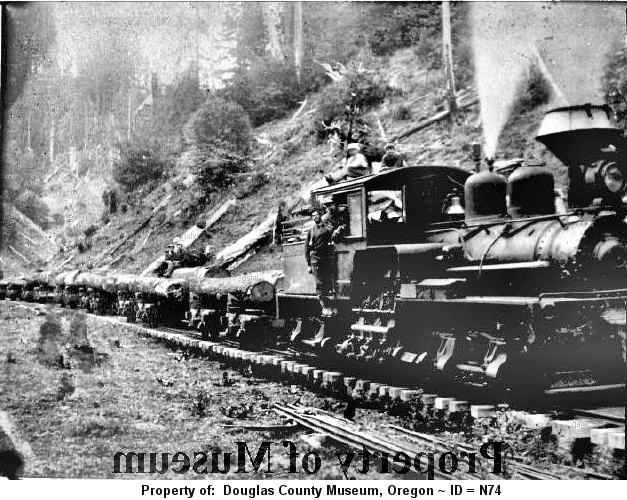 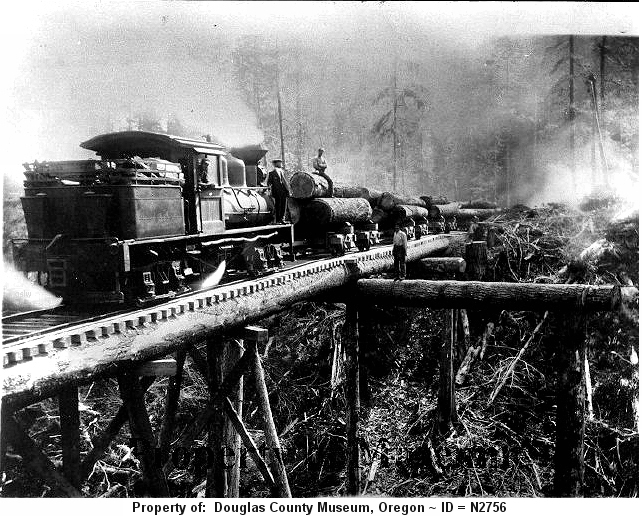 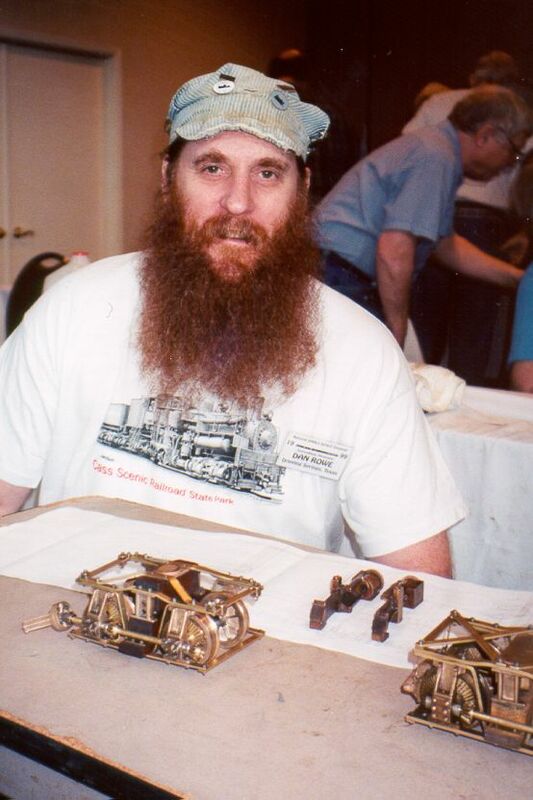 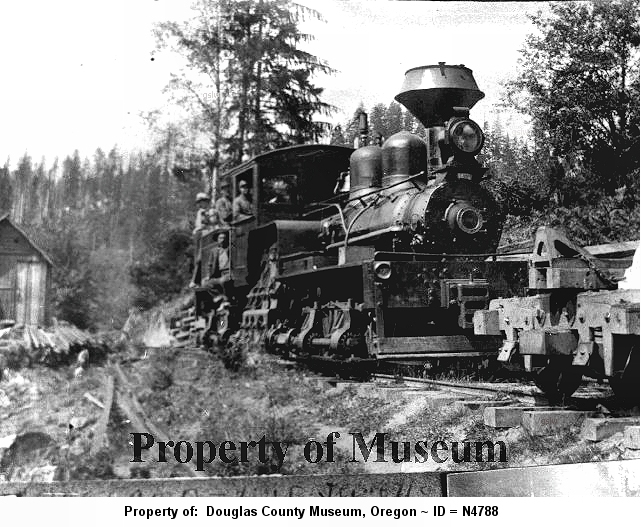 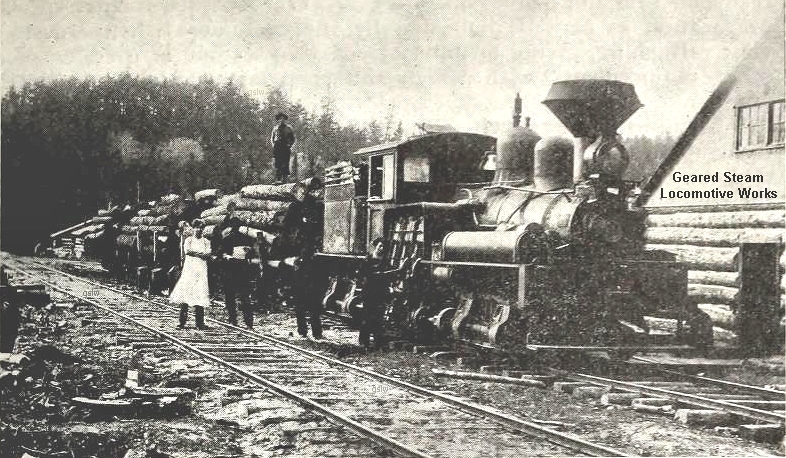 The locomotive was named "Quartz Hill". 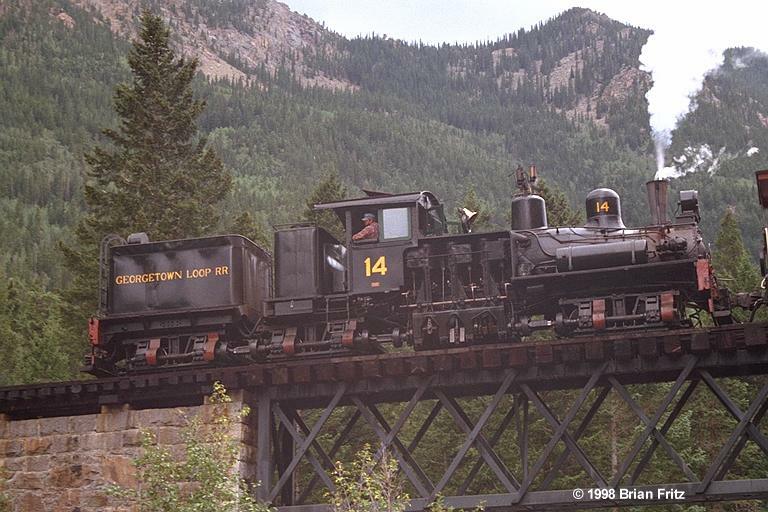 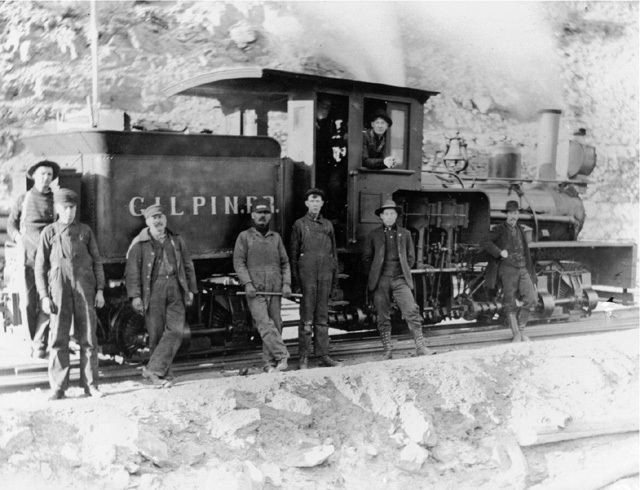 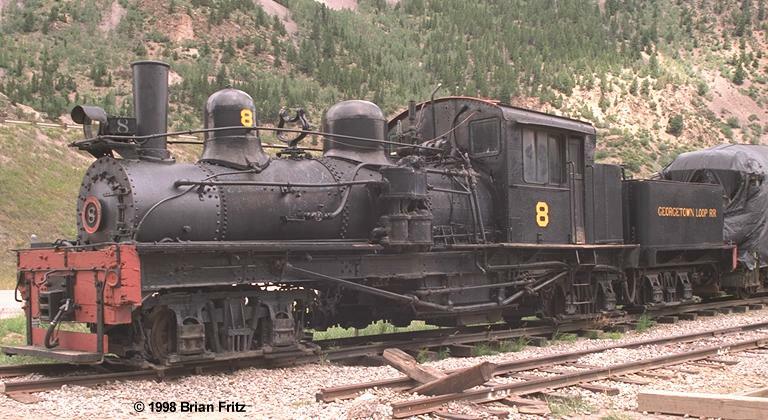 The locomotive operated on the company's Gilpin Tramway near Blackhawk, Colorado. 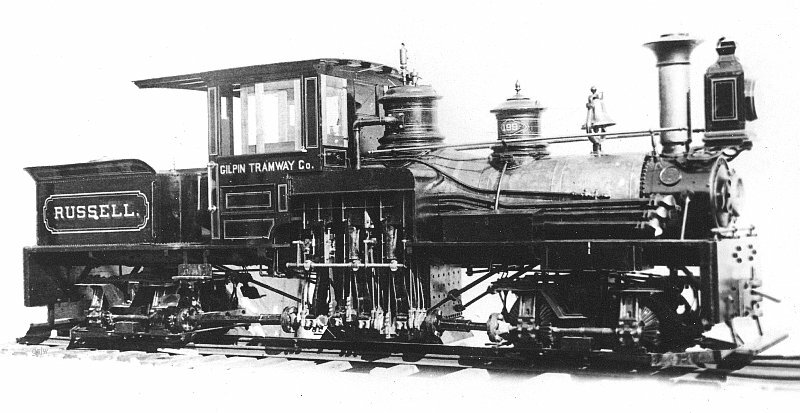 Gilpin Tramway Co. #181 - s/n 181 - destined for Black Hawk, Colorado - named "Gilpin"
Gilpin Tramway Co. #199 - s/n 199 - destined for Blackhawk, Colorado - named "Russell"